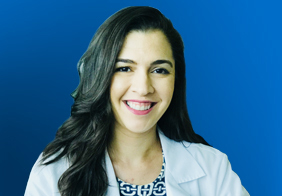 Home / Our Team / Daniel Rivera, M.D. 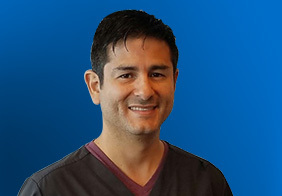 Doctor Rivera specializes in interventional pain-relieving techniques such as spine injections, joint injections, bursa and other soft tissue injections, nerve blocks, radiofrequency ablation treatments, sympathetic ganglion blocks, spinal cord stimulation, discography, botulinum toxin (e.g., Botox®) injections, as well as, the use of stem cells, platelet rich plasma (PRP) and prolotherapy for regenerative treatment of chronic musculoskeletal disorders. 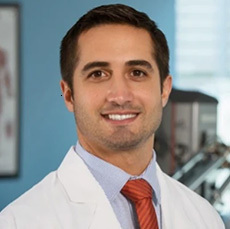 Dr. Daniel Rivera is a board-certified Pain Management, and Physical Medicine & Rehabilitation specialist. 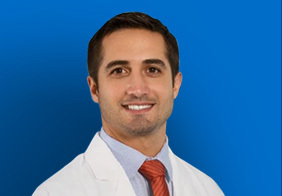 He graduated with honors, earning his MD from the Ponce School of Medicine in his native Puerto Rico. 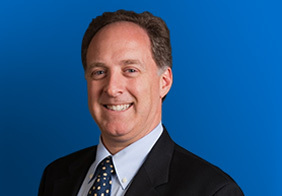 He then obtained his specialty in PM&R from the University of Miami and his subspecialty in interventional pain management from UCLA in Los Angeles. During his training, he was inducted into the prestigious Alpha Omega Alpha medical honor society.